Offering fresh grouper recipes that you will love. Grouper fillets can be cooked any way you want; but the most popular is grilled, baked or fried. If you are marinating grouper fillets do not go over 30 minutes or the flavor of the marinade will overpower this delicate fish. Blackened grouper or fried grouper to fill a sandwich or taco are some of my favorite ways to prepare them. Let's get started (you may want to bookmark this page, as I will be adding more grouper recipes in the near future). An easy grouper recipe that can be put together in a flash. Dessert? 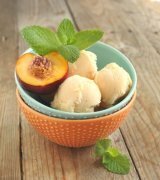 I recommend some homemade peach ice cream. So refreshing on a hot day. Light and tasty ending to a beautiful meal. These Thai grouper fish cakes are delicious. Especially when served with the sweet chili sauce. Process fish fillets in food processor. Add the egg, cornflour, fish sauce, red curry paste, chili powder, coriander leaves. Transfer to bowl and add green beans and spring onion. Mix well. Wet your hands and form into patties or by using spoons (I use gloves). Heat peanut oil in frying pan and fry patties and turn once golden brown. Remove when cooked and drain. Serve with sweet chilli sauce. 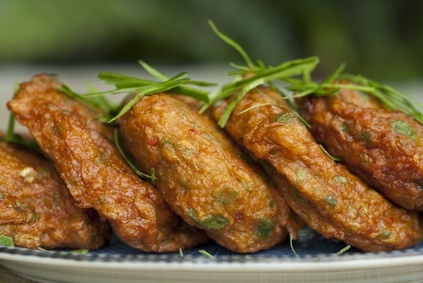 Serve with rice, chopped cucumber, fresh coriander, sweet chili sauce and a squeeze of lime juice. Delicious. This sauce is spicy, but adjust the red pepper flakes and Sriracha according to your taste. I cannot handle "hot hot" so this recipe works for me. Add 1/4 cup water, rice vinegar and sugar in a saucepan over medium high. When it starts to boil, add the minced garlic and red pepper flakes. Lower the temperature and let simmer for 3 minutes. Add the Sriracha (if using). In a cup or small bowl, mix the cornstarch with the tablespoon of cold water until dissolved. Bring the chili sauce mixture to a simmer again and add the cornstarch/water and 1/2 teaspoon of salt. Cook, stirring constantly until mixture reaches desire thickness; approximately 3 to 5 minutes. Remove from heat and cool. It's ready to use. Store in a glass container in the refrigerator. Will keep for 1 month (never lasted past 30 days). A perfect dessert accompaniment that has a tropical flare. How does homemade mango sorbet sound? Delicious fresh mango flavor to cool your taste buds. 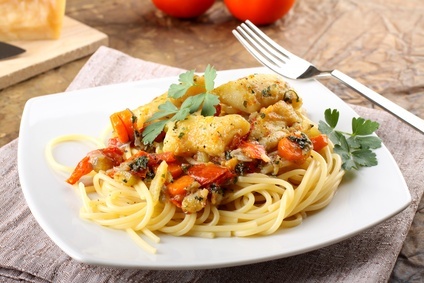 This grouper recipe is so easy to put together including a fresh lovely taste. You may add anything else you like to this fresh grouper fish recipe. angel hair pasta, cooked by instructions on box, drained and drizzle with a little olive oil. Heat heavy skillet to medium high. Add a tablespoon or two of olive oil. Meanwhile, season grouper fillets with salt and pepper and lightly dust with flour. Cut into large chunks. When olive oil is hot (toss a tiny bit of flour into the pan and it will cook), add fillets and cook on each side for 4 minutes, depending on the thickness. Place the cherry tomatoes in the hot skillet and saute for a minute or two. To serve, first plate the pasta that was drizzled with olive oil, then top with a cherry tomatoes. Place a few grouper chunks on top and drizzle with garlic butter sauce, red pepper flakes, shredded Parmesan cheese and parsley. Bring the chicken broth and chopped garlic to a boil and reduce heat; simmer until reduced in half. Whisk in a few butter pats at a time and cook until it coats the back of a spoon. Serve with white wine like Chardonnay, White Burgundy (made from Chardonnay) or Riesling. 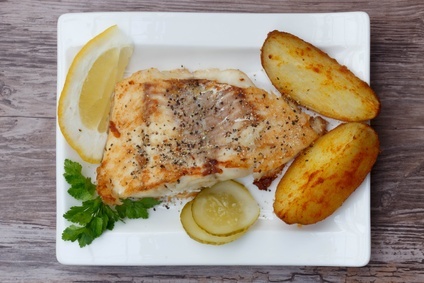 Enjoy these grouper recipes. The BEST no-bake cheesecake recipe would be perfect for dessert. 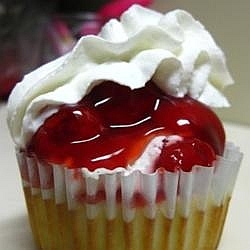 You make these as individual servings; no clean up! What's your favorite fresh grouper recipe? Just fill out the form below and I will add it to the bottom of this page.